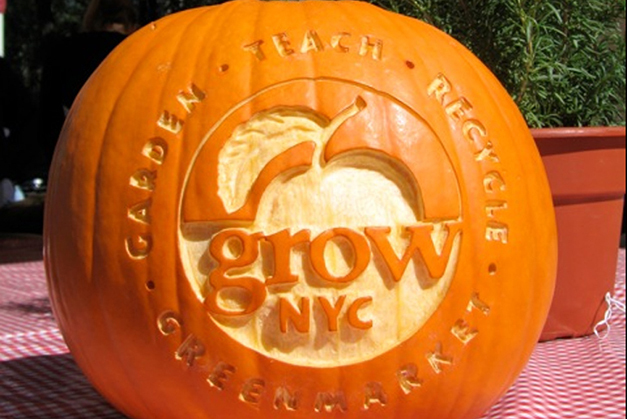 GrowNYC A brand update for the NYC organization that brings New Yorkers the beloved Union Square Greenmarket. 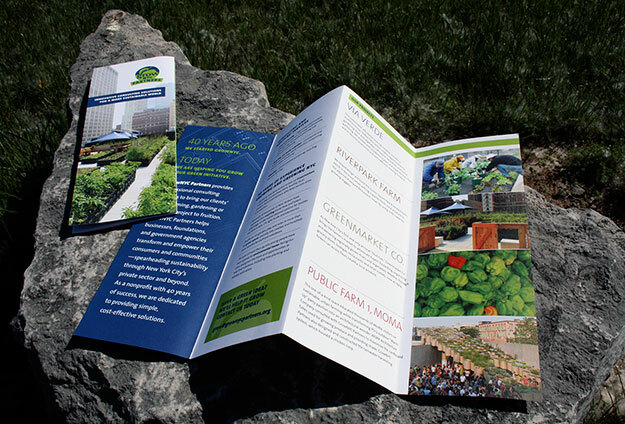 The Union Square Greenmarket – the largest and most successful open-air farmers market in the country – is a New York City icon, but few people are aware that this and all greenmarkets in the city are programs of the 40-year-old Council on the Environment of NYC (CENYC). “CENYC? What’s that?” would be the response of most New Yorkers when asked about the Council. 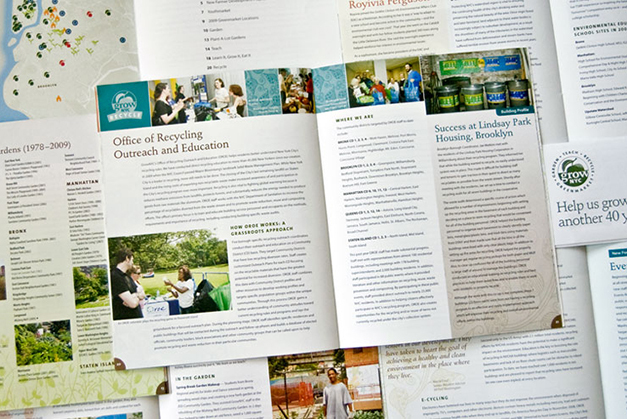 As a result, the Council lost opportunities to engage people in its programs and to raise money from donors, many of whom didn’t grasp the full scope of the organization’s work. 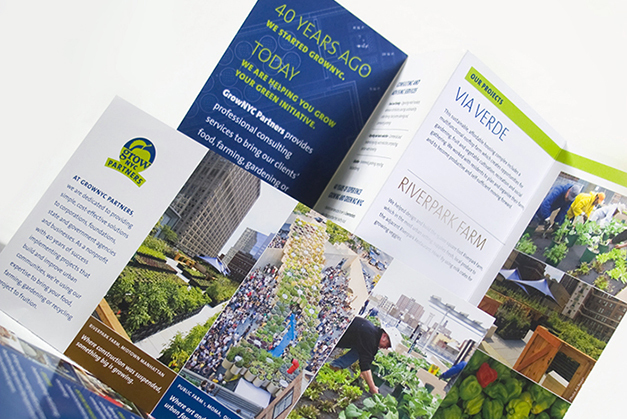 Recently the Council turned to Julia Reich Design to create a new brand identity that would be recognized by more people. 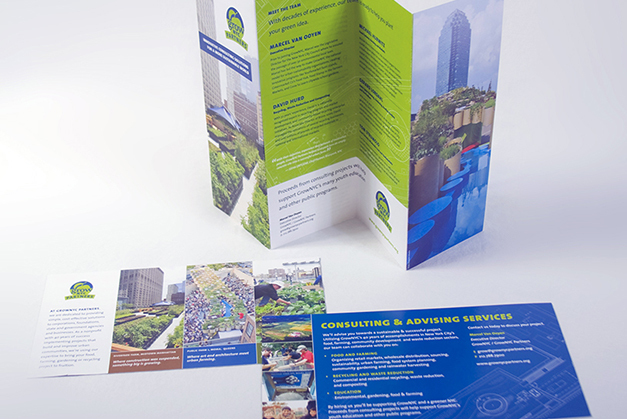 The client agreed that the CENYC name had to change. The new name had to tell constituents and stakeholders who CENYC is and what it does. It had to be succinct yet reflect the organization’s vision. 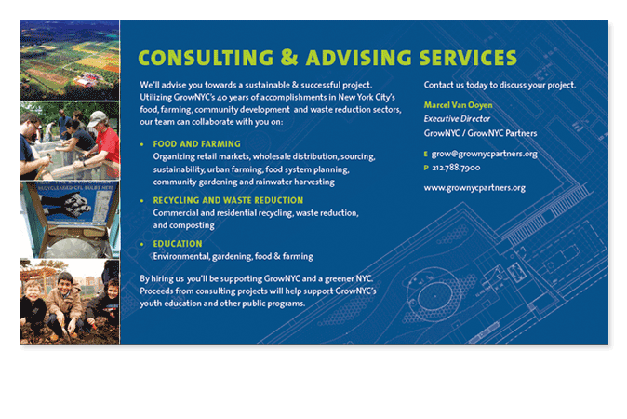 GrowNYC became the name of the organization. The word “Grow” means to “increase by natural development;” synonyms include develop, cultivate, and produce. All these variants applied to the work of CENYC. 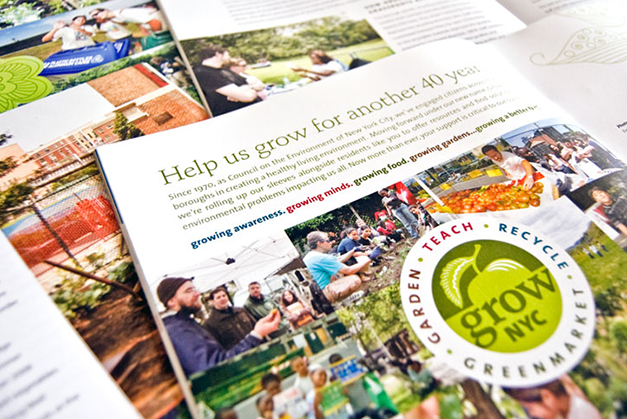 For the organization, “grow” could mean growing awareness, growing minds, growing food, or growing gardens — all things within its program areas. A brand is more than just a logo – it is an essential means to communicate the nature or personality of an organization. An important part of the pre-design work is to understand this organization. Chief among these attributes was “accessible.” Accessibility was clearly an important characteristic for the brand to evoke because the organization was very conscious of its democratic underpinings. 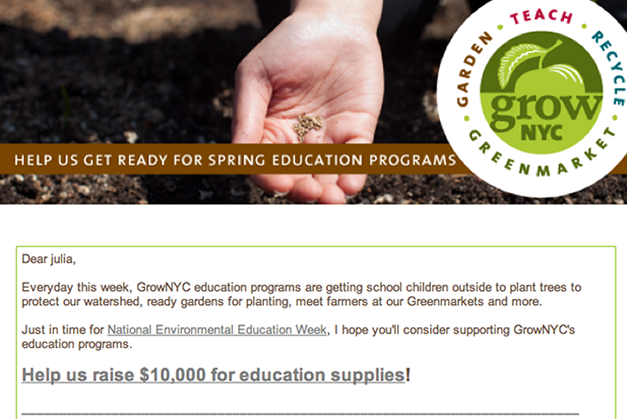 It is an organization that reaches out to and works with a wide spectrum of New Yorkers. The new brand had to evoke this. 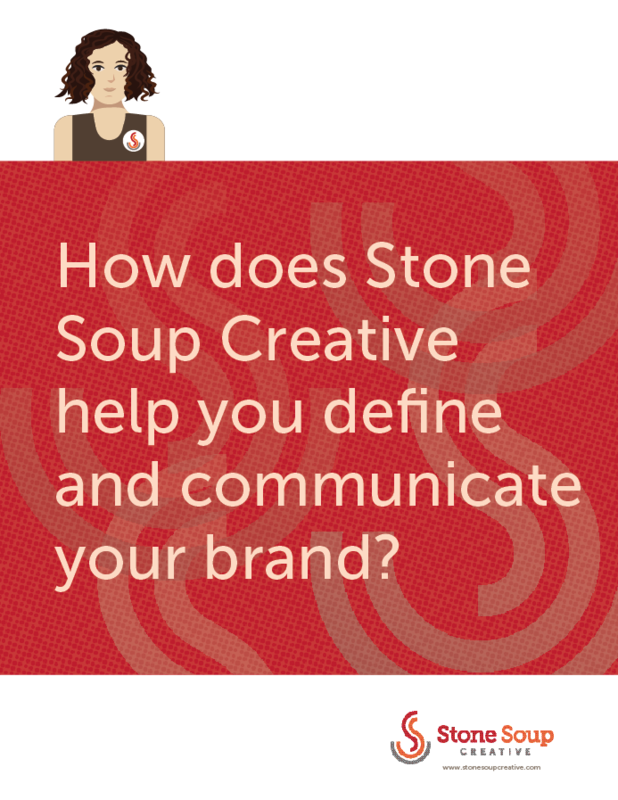 A successful logo will capture the essence of the organization. What appears to be magic is actually the result of a thorough process that requires exploration of different approaches, careful consideration of the criteria while reviewing the options, and attention to detail in refining the logo for perfect production on paper and in electronic media. Logo design requires the delicate balance that orchestrates the right images, symbols, fonts, colors, and layout to achieve harmony. 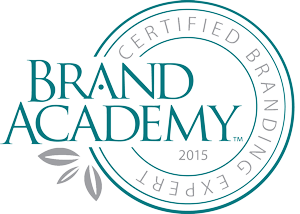 The final logo resembles a seal or crest; it is self-contained and impactful. 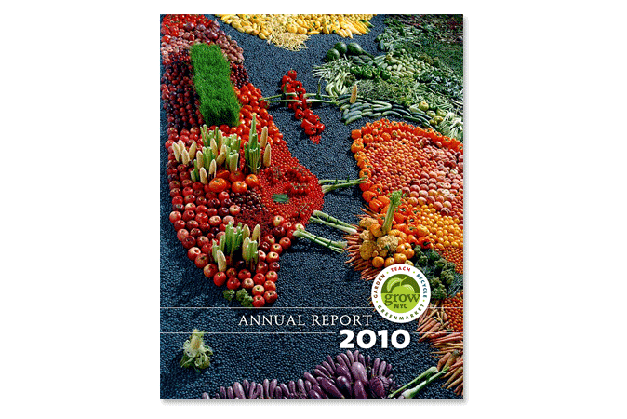 Bold and colorful, the style of the apple directly references the current Greenmarket apple. 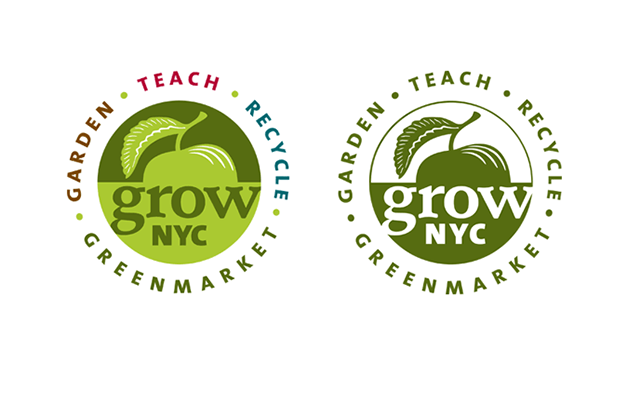 Because Greenmarket is the organization’s strongest brand, and is a name in the farmers market world that NYC residents have known for 30 years, we kept the old Greenmarket logo, but with a facelift, so that it directly compliments the new GrowNYC logo. 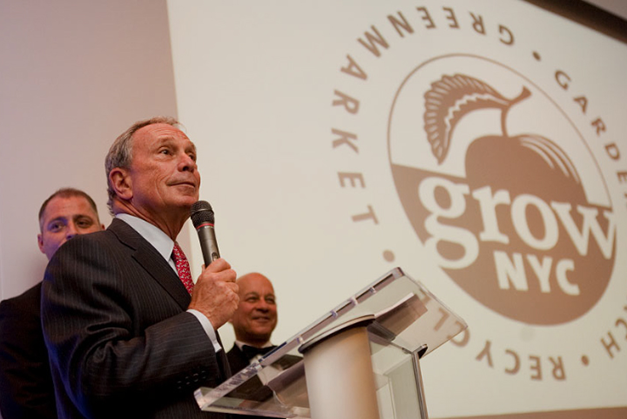 The final logo retained a visual connection to the Greenmarket logo in order to take advantage of that brand equity. 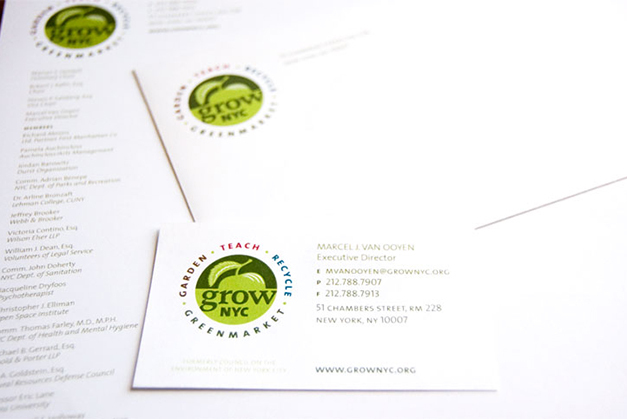 Unlike the old logo, this new look is accessible, and has a “home-grown” feeling that reflects the grassroots nature of GrowNYC’s work. This now looks like the kind of organization people want to get involved in. 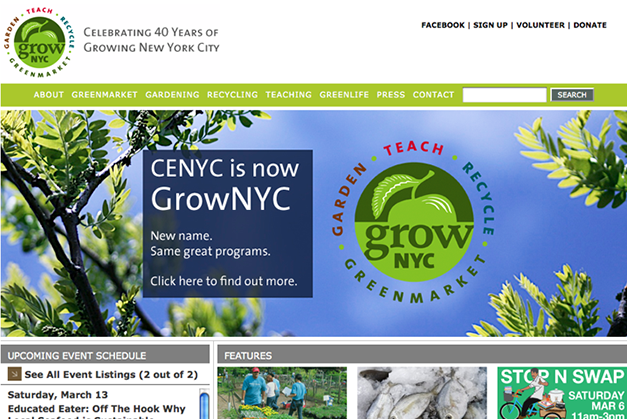 CENYC is now GrowNYC. The new name and eye-catching logo clearly communicate its work in growing: regional agriculture, green spaces, natural resources, and the environmental leaders of the future. The name has changed, but its values and programs are the same. 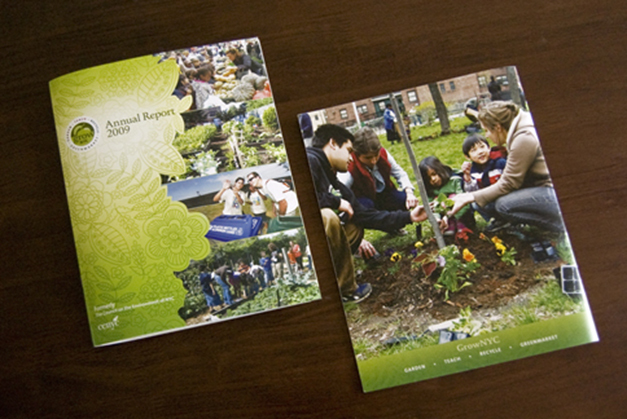 Happily, GrowNYC had the perfect opportunity to launch its new brand: It’s 40th Anniversary celebration in 2010 which involved a year-long series of events. This gave the organization an opportunity to showcase its new name and logo to all stakeholders in a celebratory, upbeat spirit. 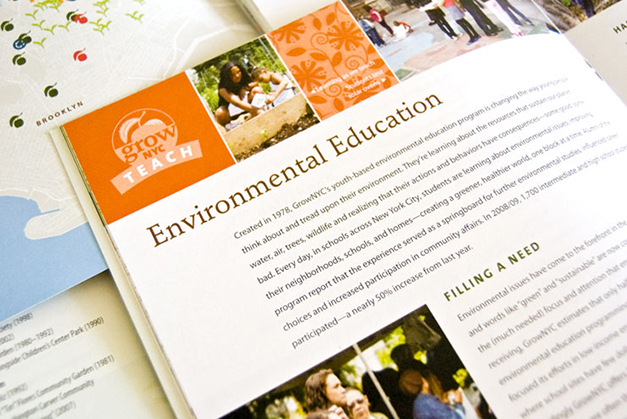 Read the entire case study on the Nonprofit Brand It! website.